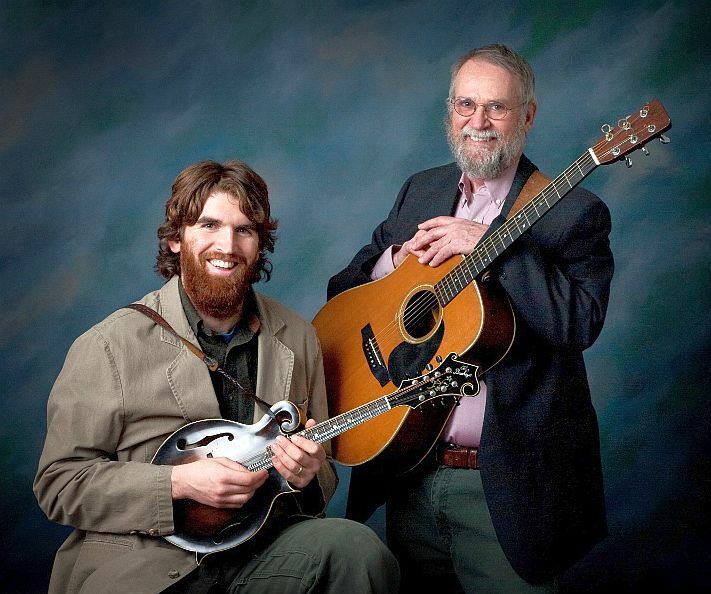 It’s time to chase those winter blahs away with a healthy dose of bluegrass music from Maine’s own “Brother Act,” Stan and Dan. Get your prescription filled at the Union Coffeehouse Mid-Winter Blahs Concert. This talented duo will keep you entertained with terrific music, corny jokes, and an up-tempo vibe that will put a smile on your face and taps in your toes. Their performances feature very tight vocal harmony and Dan's virtuoso mandolin stylings. You will enjoy a wide variety of songs from folk and bluegrass to rock and country genres. Stan and Dan also sing original songs (many of them about Maine topics) written by Stan, a nationally-known bluegrass songwriter. It’s time to put on your happy face and come out for a night of fun music and good times. As always, an Open Mic hour showcasing serendipitous performances by local artists follows Stan and Dan. And, of course, you will want to sample the wonderful baked goods provided by the Union Church Bakers Corps. Hope to see you there!